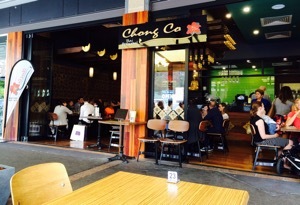 There are two Chong Co restaurants in Woden, one in the Southern Cross Club and one of the Corinna side of Westfield. The Westfield option is cheaper,and while the atmosphere is nice as nice as the SCC, it is still very pleasant and has outdoor seating that is especially nice in the good weather. Serve sizes are particularly generous and great for sharing. 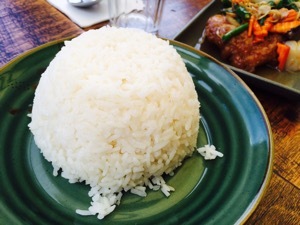 Three dishes from the main menu and two serves of rice ($3 per serve) is plenty for six ( about $10.50 each). 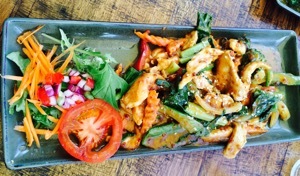 The Pork with Prik Khing is especially good $17.90 but chicken is probably a better meat to pick. 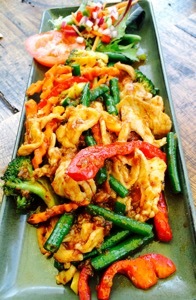 Chicken with Malay Sauce, $17.90, is also good. 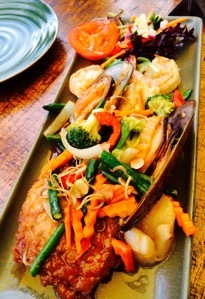 Mixed seafood with lemongrass, $20.90, includes two prawns, two calamari tubes, two mussels and one scallop, but is not as good as the other two dishes. 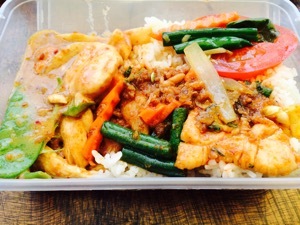 A takeaway container is happily provided for leftovers.